How to watch Horrid Henry: Season 1: Horrid Henry's Hidden Video / Horrid Henry's Haunted House on Netflix Canada! Sorry, Horrid Henry: Season 1: Horrid Henry's Hidden Video / Horrid Henry's Haunted House is not available on Canadian Netflix, but you can unlock it right now in Canada and start watching! With a few simple steps you can change your Netflix region to a country like United Kingdom and start watching British Netflix, which includes Horrid Henry: Season 1: Horrid Henry's Hidden Video / Horrid Henry's Haunted House. We'll keep checking Netflix Canada for Horrid Henry: Season 1: Horrid Henry's Hidden Video / Horrid Henry's Haunted House, and this page will be updated with any changes. Horrid Henry: Season 1: Horrid Henry's Hidden Video / Horrid Henry's Haunted House is not available in Canada BUT it can be unlocked and viewed! Henry's career as a film director gets off to a shaky start. / There are spooky goings-on at Aunt Ruby's house. There is a way to watch Horrid Henry: Season 1: Horrid Henry's Hidden Video / Horrid Henry's Haunted House in Canada, even though it isn't currently available on Netflix locally. What you need is a system that lets you change your Netflix country. 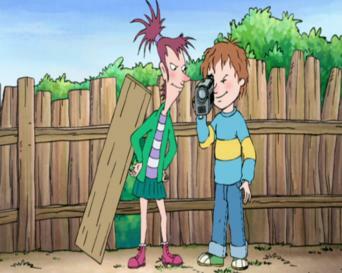 With a few simple steps you can be watching Horrid Henry: Season 1: Horrid Henry's Hidden Video / Horrid Henry's Haunted House and thousands of other titles! Watch "Horrid Henry: Season 1: Horrid Henry's Hidden Video / Horrid Henry's Haunted House"